Their faces have been captured on mugs, plates, tea towels - and even in Lego - now it's the turn of an Etch A Sketch whizz to pay his tribute to Prince William and Kate Middleton. The portrait was created by artist George Vlosich, using the retro toy which originates from the late 1950s. The likeness took 80 hours to draw with two dials on a plastic frame – all using one unbroken black line. Twisting the knobs moves a stylus that removes aluminum powder from the back of the screen, leaving a black line. Mr Vlosich, from Ohio, created the image especially for an art gallery show to celebrate the Royal wedding. 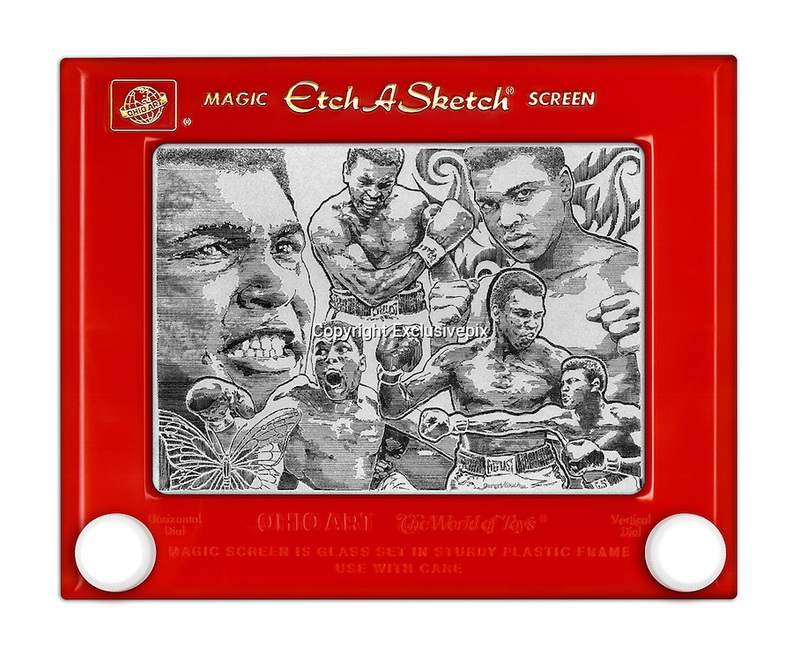 He has also produced Etch A Sketch portraits of Barack Obama, Will Smith, Tiger Woods, Muhammad Ali and The Beatles. The 30-year-old, who has been using the toy since the age of ten, said: ‘Each is an original work of art that takes 70-80 hours to create.